The Republic is perhaps the single most important, the most studied and the most quoted text of all of Plato's Socratic Dialogues. 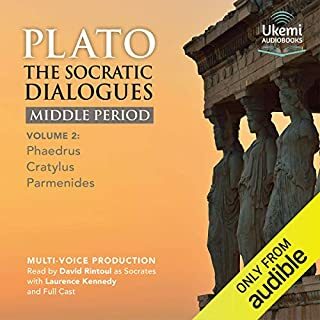 Through the medium of Socrates, Plato outlines his view and ideas concerning the ideal working of the city-state. 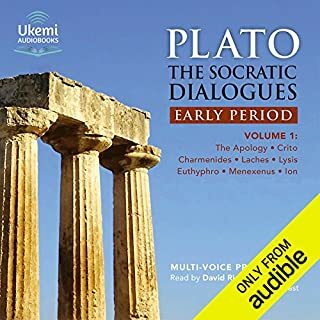 Socrates narrates a conversation that took place the previous day with Cephalus, Glaucon, Thrasymachus and others. 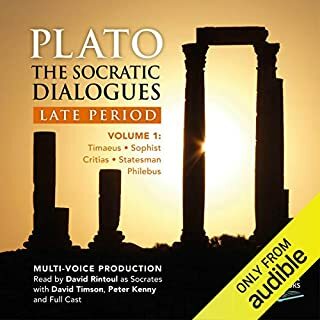 The dialogue is organised into 10 books and covers a broad range of topics, including the ideal community, the ideal rulers of the community - philosophers and the philosopher king - and various forms of government, including timocracy, oligarchy, democracy and tyranny. 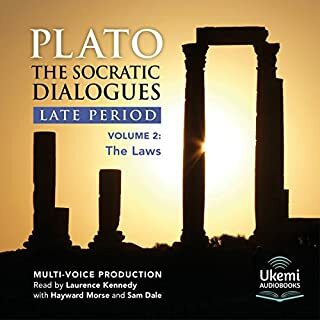 Part of the Ukemi recording of the complete Socratic Dialogues by Plato, it uses the classic translation by Benjamin Jowett and is read with authority by David Rintoul. After listening to the whole thing, I cannot imagine a worse existence than a subject in Plato's ideal state. Essential for better understanding the failed political experiments of the last century, since they are all derivatives of this piece.